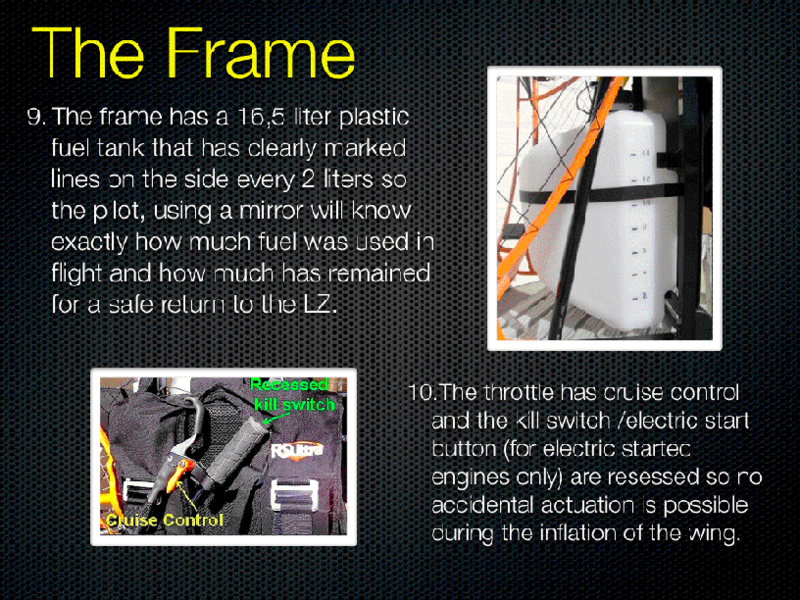 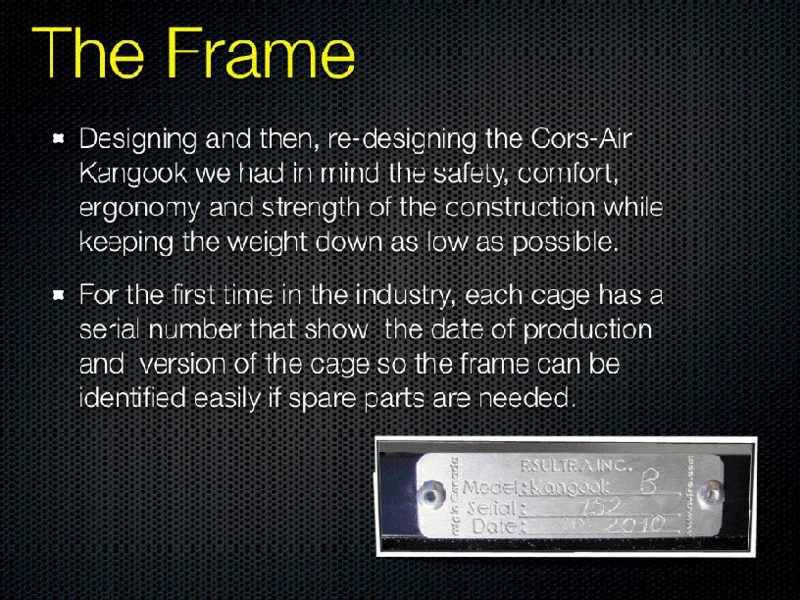 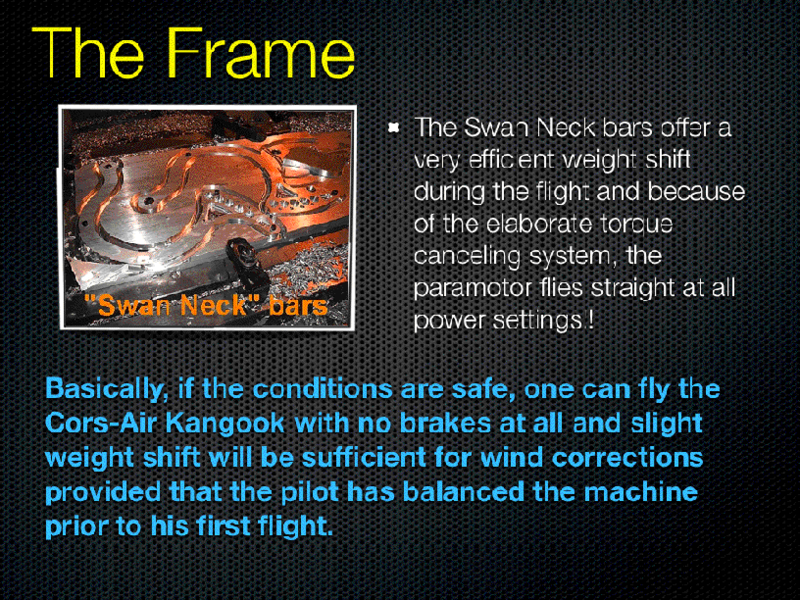 Warning: all the pictures and text in this presentation can NOT be legally copied and published without prior written agreement with Aero Cors-Air LLC and such illegal actions, we will pursue to the fullest extent of the law. 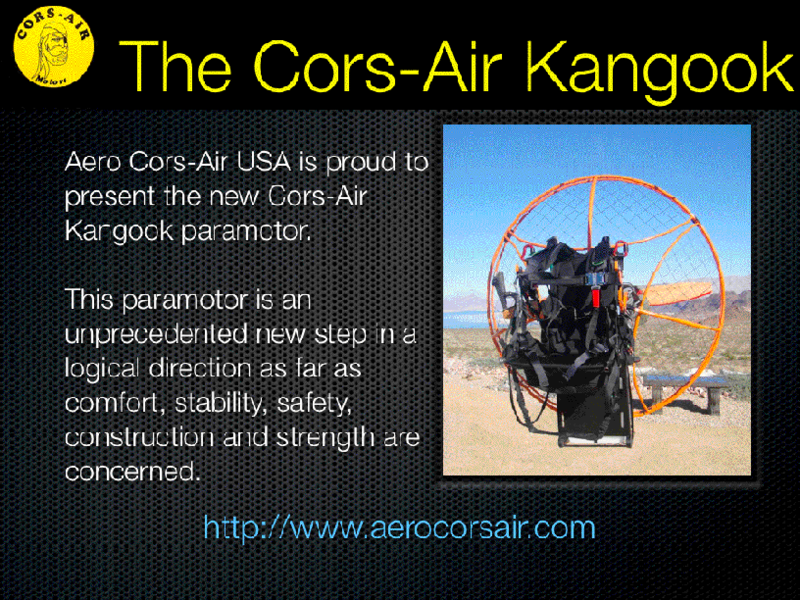 The Cors-Air Kangook paramotor shown below has a patent pending and all entities who copy it, will be prosecuted to the fullest possible extent of the law. 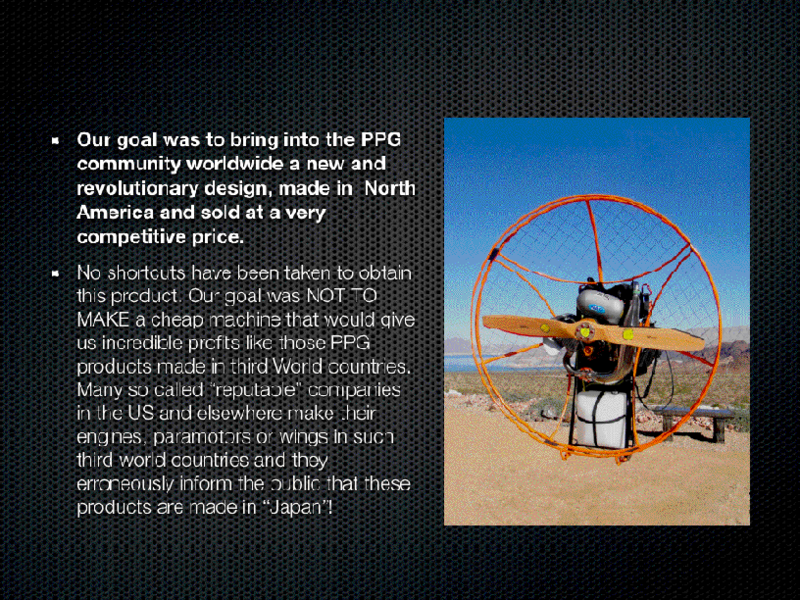 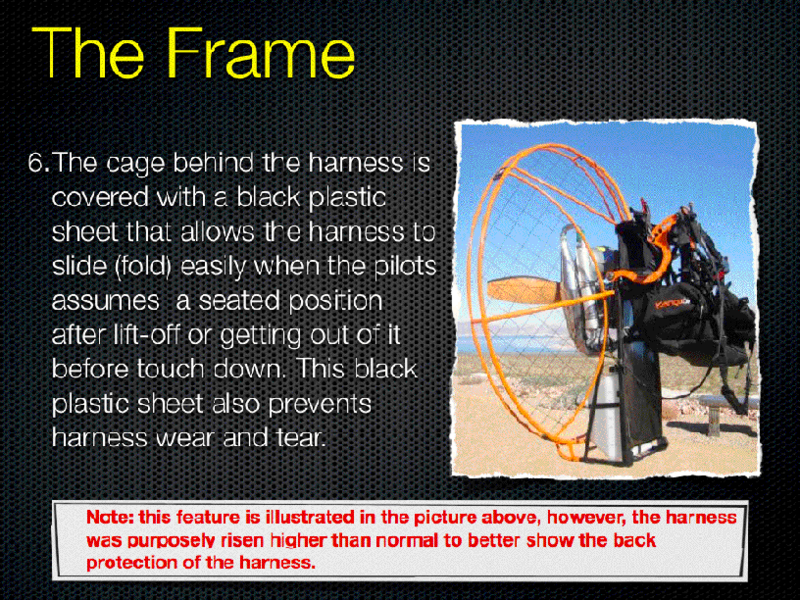 This paramotor is manufactured in Canada by RS Ultra exclusively for Aero Cors-Air LLC and can only be purchased from Aero Cors-Air USA or its authorized dealers. 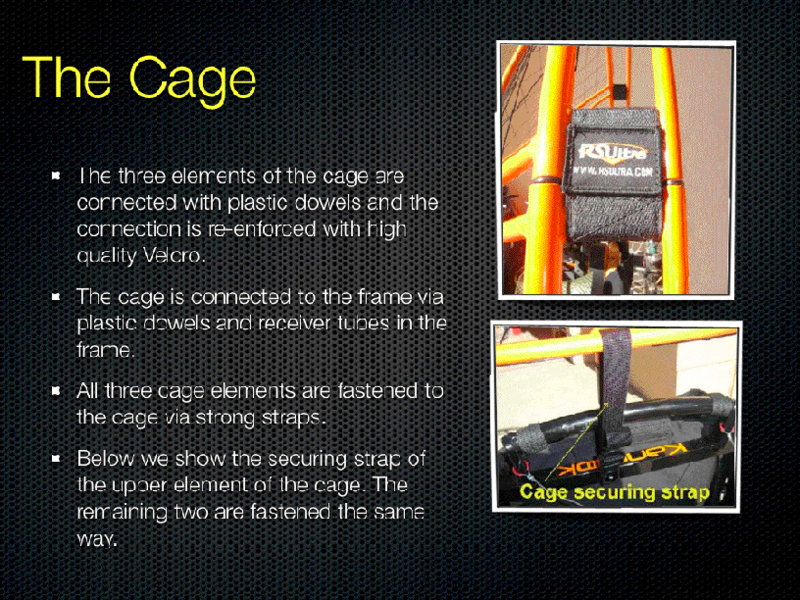 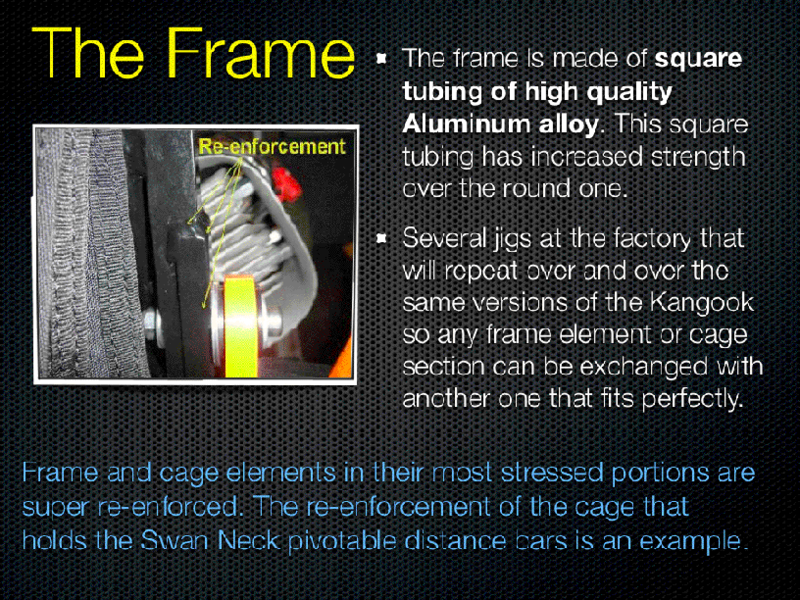 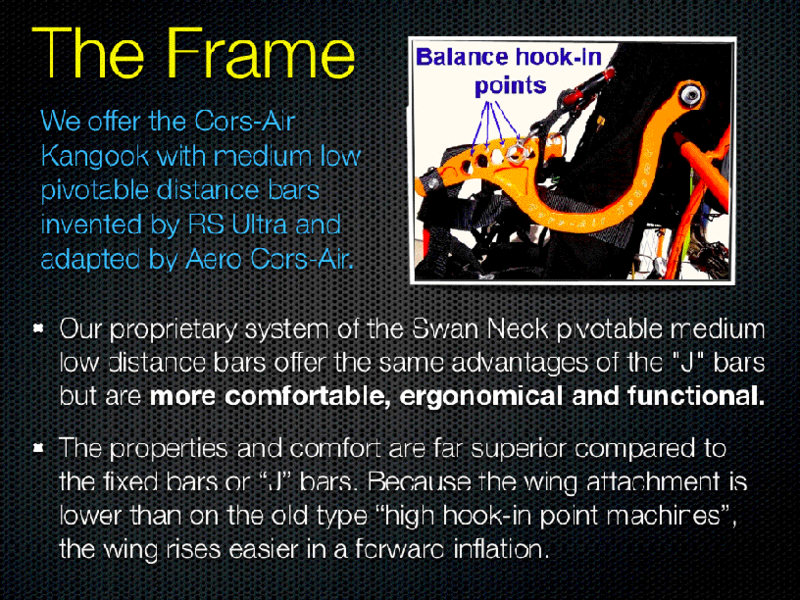 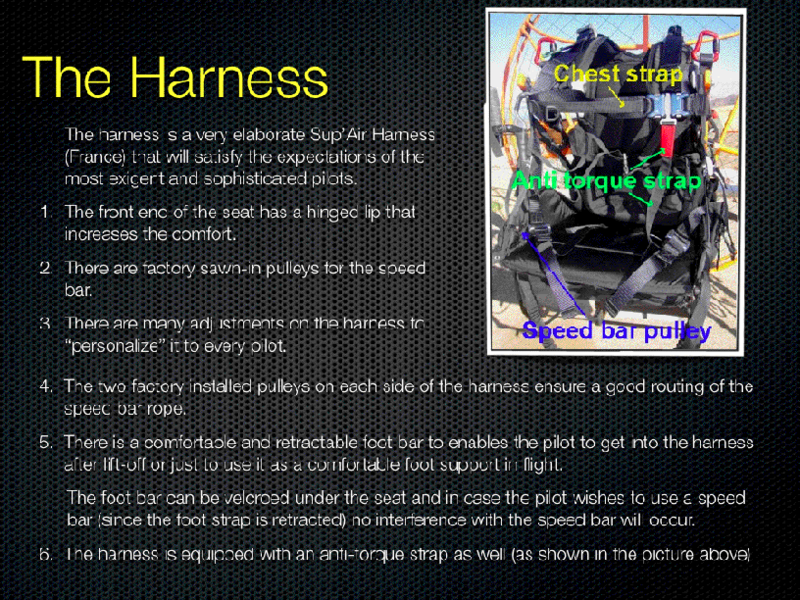 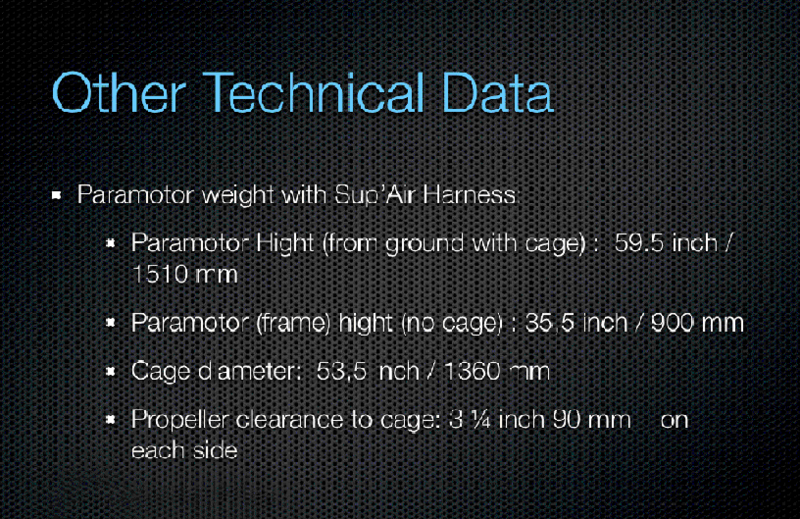 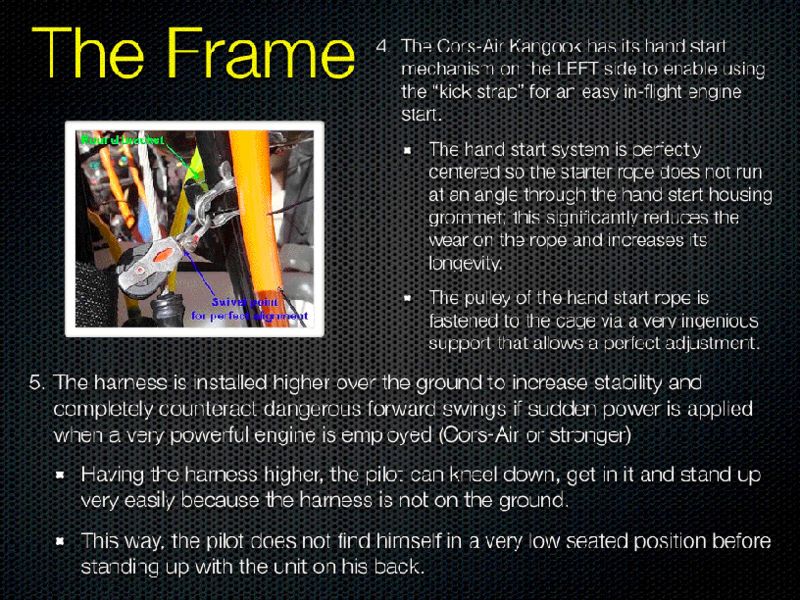 as the Sup'Air harness described above. 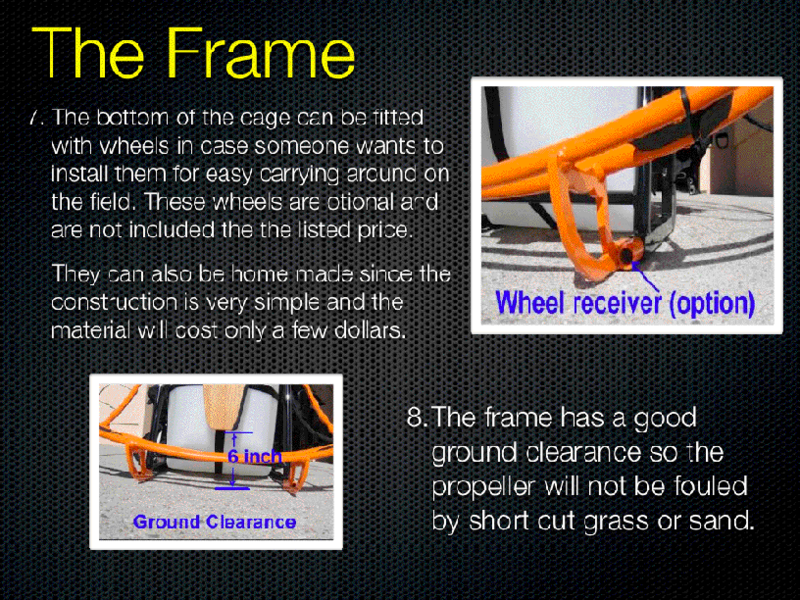 It does not have it because simply, there is no need for it. 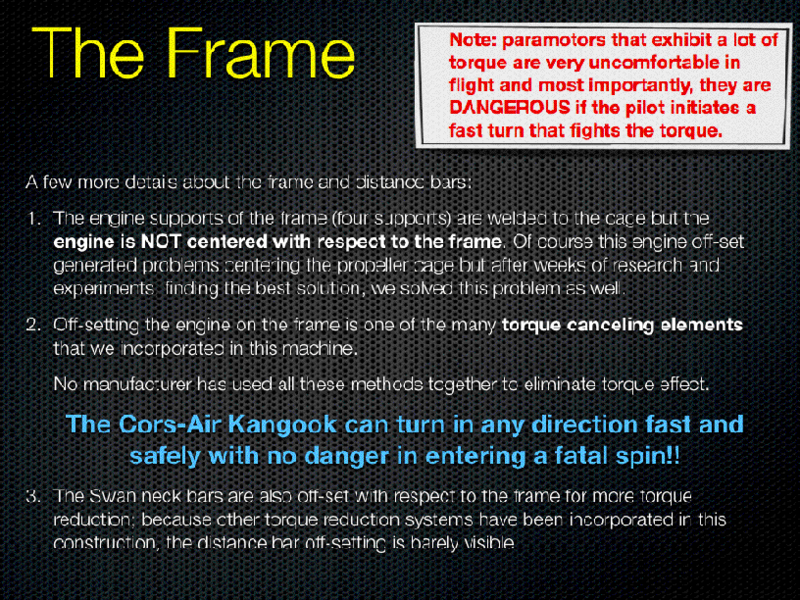 cancelled most of the torque by: the frame geometry, off-set engine and off- set harness. 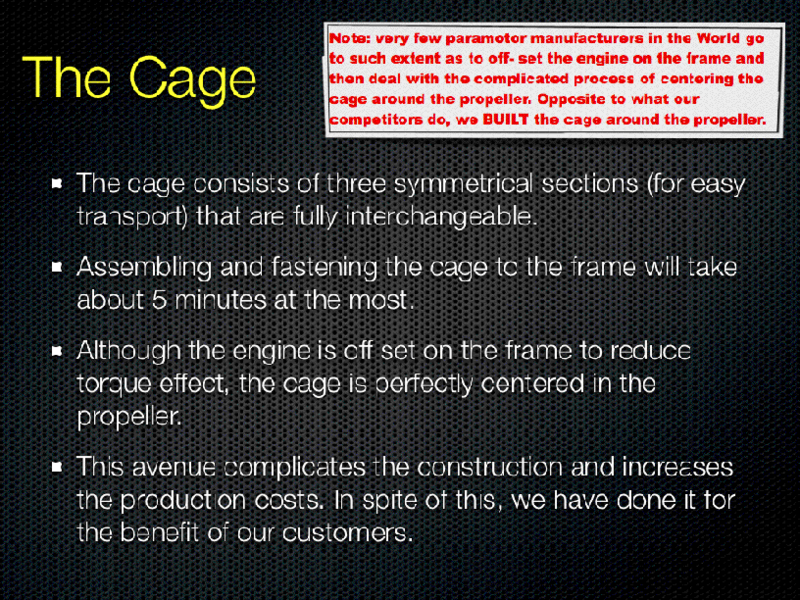 delivered with a free copy of my well known "Carburetor" DVD. 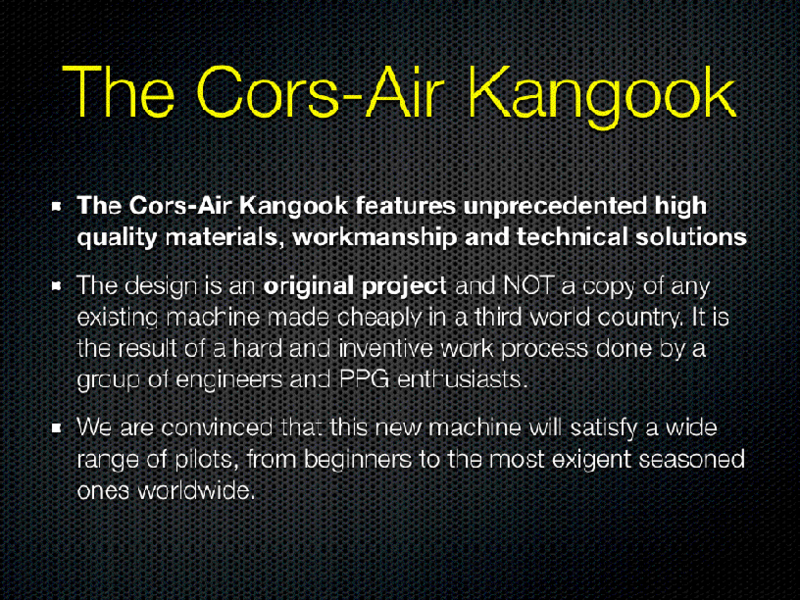 Testimonials: please click here to see what very well known pilots and instructors in the PPG community say about their test flight of the Cors-Air Kangook paramotor at the last Salton Sea event.